MEXICO CITY, March 14 (Xinhua) -- Near the fence separates the Mexican city of Tijuana from the U.S. city of San Diego on Tuesday, a Mexican man, called Oswaldo, held a pinata in the shape of U.S. President Donald Trump and stood on the Mexican side. "We don't want your wall!" he shouted, together with others, as Trump stood on the other side to inspect the prototypes of the unscalable barrier he wants to be built along the 3,200-kilometer border the two countries share. Several trailers had been parked in front of the prototypes to block the view from the Mexican side, just a few meters away, when Trump, surrounded by U.S. Border Patrol and Secret Service agents, was checking the prototypes. "No wall! No wall!" 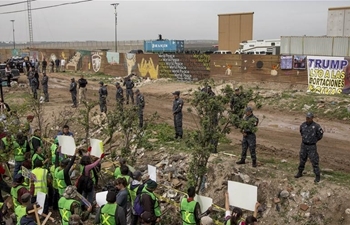 Oswaldo and about other 30 members of Tijuana's Migrant Alliance chanted from behind the fence in the Las Torres district of Tijuana city. As soon as they heard Trump would be visiting the site in San Diego, the Mexican activists began to build a pinata resembling the U.S. president, complete with a suit, tie and his signature yellow hair. The idea was part of their anti-wall demonstration, but police in Mexico asked them not to do so for safety reasons. So they had to settle for making their statement by posting signs and placards on the fence that has divided the two cities since the 1990s. Trump's proposed wall rankles Mexicans who see the two countries as necessarily united by the border, not divided by it, and bound together by other factors, including migration, trade, history and common concerns. 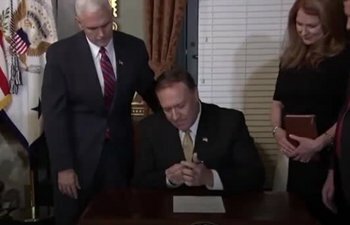 "He is sending a message to all our people, to other countries around the continent, and to the entire world that he is going to place this huge wall and that he doesn't want to know anything about our people over there in the United States," said Jose Maria Garcia, coordinator of the alliance, which assists migrants in the northwest border area. Garcia, who runs a shelter for undocumented Mexicans who have been deported, believes the wall would not stop migrants fleeing poverty from trying to cross, but only force them to take more dangerous routes. He was also worried about the effects of Trump's anti-migrant rhetoric, which reached a fever pitch during the presidential campaign period, when the then Republican candidate said the wall was needed to keep out rapists, criminals and drug traffickers. "Mr. Trump is making a very strong statement about the migrant community, specifically Mexicans residing there, who he has criminalized," said Garcia. Trump's first visit as president to California sparked various protests on both sides of the border, though some Americans also came out to support him. 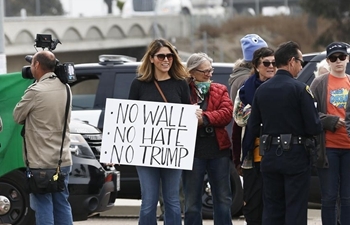 By the time Air Force One landed at the Miramar air base, some 46 kilometers from Otay, where the prototypes were displayed, people with signs that read "Bridges Not Walls" were already standing outside the San Ysidro border crossing and other key points in San Diego. "I'm from San Diego and I never asked for a wall. We don't want that," deacon Jose Luis Medina told reporters at a demonstration by members of the religious San Diego Organizing Project. Even California Governor Jerry Brown sent an open letter to Trump the day before his trip, asserting that his state is given to building bridges not walls. California, the U.S. state where the largest number of Mexicans live, is prosperous because it welcomes migrants and innovators from around the world, added Brown. Democratic congressman Juan Vargas was more blunt, telling a gathering in San Diego that "he isn't welcome here." 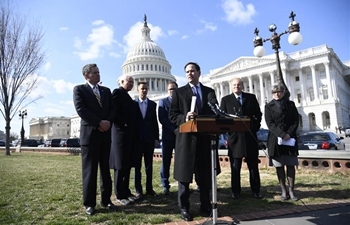 To date, the U.S. Congress has not authorized the estimated 18 billion U.S. dollars needed to build the wall, despite Trump's assertion that Mexico could be made to pay for it. Raul Benitez Manaut, a professor at the North America Research Center of Mexico's National Autonomous University, said that Trump's inspection of the prototypes was meant to remind U.S. lawmakers, and Mexicans, that the project is still viable. "It's a kind of ... show to put pressure on the U.S. Congress and on Mexico's government," said Benitez. It was also directed at his base, to demonstrate "that he doesn't go back on his campaign promises," Benitez said. For the moment, the proposed wall is not so much a border policy tool as a tourist attraction, drawing organized tours of curious onlookers. 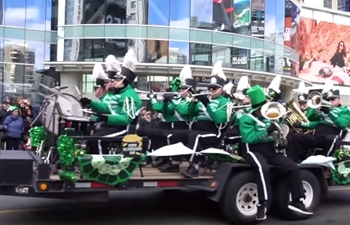 According to Ives Lelevier, the deputy secretary of tourism for the Mexican state of Baja California, where Tijuana is situated, at least two travel agencies have included the prototypes on their tour itineraries. 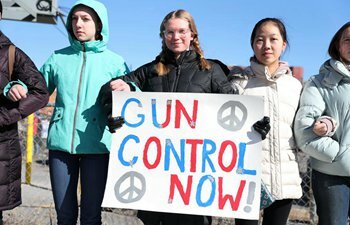 Students participate in "National School Walkout" to protest gun violence in U.S.
Press conference regarding STOP School Violence Act of 2018 held in Washington D.C.